In a Nutshell: As the financial services industry continues its digital transformation, banking institutions face a number of challenges in how to interact with customers and make those interactions as smooth as possible. Avoka and its software products help facilitate today’s digital customer interactions by focusing on outstanding customer journeys. The company provides a framework for a frictionless experience as the consumer applies for or signs up for certain financial products. Avoka works with institutions to customize its existing technology to meet the client’s needs. Overall, the company helps institutions save time and money by getting banking products to market faster. It’s a blip in time that most consumers give little thought to, but that moment when a person clicks on a web link to apply for a credit card is a crucial part of the customer acquisition process. Any number of things could go wrong — the website takes too long to load, the landing page looks unsecured, or the customer feels overwhelmed by the application process. If the potential applicant is inconvenienced or delayed in any way, he or she could click away from the site and never come back. The company loses a customer and revenue. Not too long ago, a large national bank was plotting out its strategy for what it knew would be a huge undertaking — rolling out a whole new line of credit card products. A complex project like this involves countless moving parts and takes an enormous amount of time, energy, and resources to plan and execute effectively. Eventually, the bank had to wrestle with the dilemma of whether it wanted to handle that extremely important credit card application process in-house or if it wanted to bring in a third party to handle it. If the bank handled it in-house, the bank estimated that the new credit card line wouldn’t be ready to roll out for two years. The bank chose to enlist Australia-based software provider Avoka, and just four months later it brought its new credit card line to market. 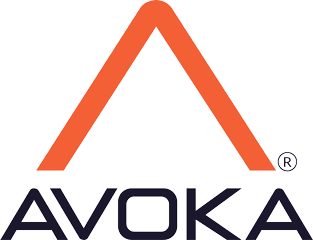 Avoka specializes in helping financial institutions deliver frictionless customer journeys by providing its FinTech resources to those important customer acquisition scenarios. That journey is what Avoka is there for — from the moment a potential customer clicks on a product link to when he or she signs the agreement for the credit card or whatever the product may be. 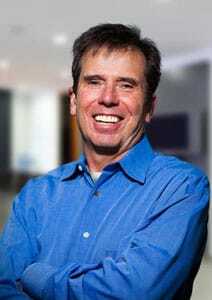 Don Bergal is the Chief Marketing Officer for Avoka. Bergal said credit cards are just one example of how financial institutions employ Avoka’s software. The company’s software is applicable to any situation where a customer needs to be onboarded with a product or service from a financial institution. “That ranges from a credit card customer to a checking account customer, to small business customers all the way up to big corporate treasurers who need to get onboarded with their bank to do all kinds of treasury functions,” he said. Avoka also ensures an omnichannel onboarding experience as customers go through the application process. From the customer’s perspective, this means every way the bank makes contact with the customer is consistent and seamless, Bergal said. “We handle the whole thing, but what’s more is we make it work on your mobile phone, we make it work on your desktop, we tie into the call center, and to the branch experience,” Bergal said. Additionally, if a person stops filling out an application halfway through and picks it up later, the potential customer can start right back from where he or she left off without any difficulties. It also means that if a husband and wife are applying for a product together and the husband emails the application to the wife, who then calls the bank with a question, the bank will have the knowledge and tools to assist with the question. Bergal said Avoka’s primary product — Avoka Transact — comes with all the basic tools to successfully guide customers through a broad range of scenarios, then Avoka further customizes it for each organization. Avoka runs the software in the cloud in a secure, fully encrypted environment that meets compliance requirements, he said. “We run the whole thing on behalf of the institution and make it look exactly like the institution’s website, so nobody ever knows that, in fact, it isn’t the institution,” Bergal said. Avoka can help companies increase speed-to-market for its products and provide customers with an outstanding omnichannel experience. Avoka has an in-house consulting team that is specifically focused on the customer experience. The team lends its expertise to Avoka’s clients as they customize the software to help identify and eliminate friction points during the customer onboarding process, he said. He said these are the types of friction points that can scare customers away, but Avoka’s knowledge and experience goes a long way toward optimizing the customer journey and keeps the customer moving along through the process. Speed-to-market and risk reduction are two of Avoka’s major selling points, he said, because some institutions could theoretically build and implement this type of software themselves, but it would be very expensive and time-consuming. 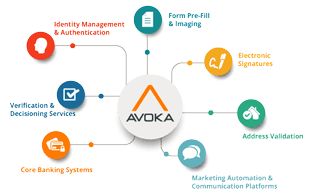 The latest FinTech solutions are integrated into Avoka’s software. Additionally, Avoka brings to the table a wealth of FinTech tools to the table that are already integrated into its software, like digital identification tools, KYC, risk analysis, and tools to help the back office staff. 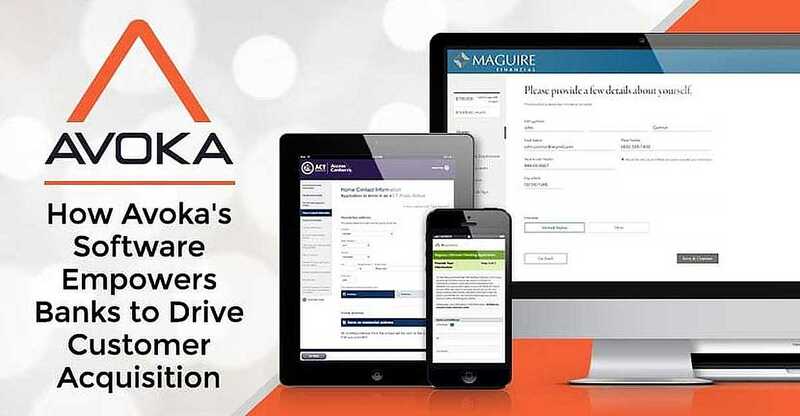 Bergal said this entails processes like having the applicant upload a pay stub, photograph, and his or her driver’s license image, and answering a number of questions so Avoka can supply the information to the bank, and it can make a determination. He said in most cases, consumers will know if they are approved within a matter of seconds. A big challenge for the bank client was how to deal with credit card applications that didn’t fall into the easily-approved or easily-denied categories, which are sorted automatically, he said. With an organization as large as the bank, it was getting millions of applications in the pending category, which meant staff would have to sort through and determine the final classification of each of those applications. Avoka must be doing something right if its software enabled one of the largest credit card issuers in the U.S. to roll out a whole new line of credit card products in just four months and meet its 12-month sales goal in just three months. Bergal said Avoka continues to further refine and improve its products, with a major update to Transact Workspaces coming at the end of this year.